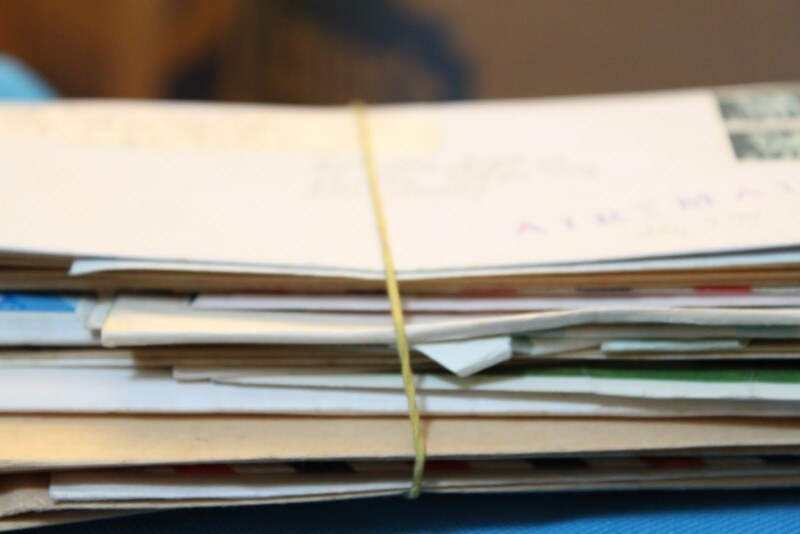 …old letters from an old friend, a really special person. Her name is Ivy. I met her in 1992 when I was a sophomore in the university and I had just shifted majors from Molecular Biology to Sociology. I didn’t know any of the other students but Ivy took it upon herself to be my ‘buddy’. She was very friendly and I just remember her making me feel at ease. As the semesters passed, we would always find ourselves in the same classes and we’d always sit together, mostly in the front row. We would share notes, be project team mates, review buddies during exams and whenever I had to miss class due to illness or for whatever reason, she would always be there for me to tell me what I’ve missed and let me borrow her notes so I won’t be behind. She was that kind of person…very helpful, accommodating, reliable, highly intelligent. It did not take long for us to become friends. Sometimes we would hang out in campus or even go to the mall to catch a movie during our long breaks. I later found out that she had a Japanese boyfriend ("T") at the time and that things were pretty serious. Soon after our college graduation, she got married and I was one of her bridesmaids. It was a quiet yet meaningful ceremony. A part of me felt it may have been too early. She was fresh out of college and she could still do a lot of things and accomplish much. Was she ready? But at the same time, a part of me knew that she was a mature person, strong and capable of whatever life threw at her. She migrated with T to Japan after getting married. T’s job was there and of course it was the practical choice. When Ivy moved, that’s when our correspondence began. I’m pretty sure she started the whole thing, that she sent the very first letter. She would send one, I’d reply and send one out. Then I’d eagerly await her next letter, telling me of her new life in a foreign country. It was helpful for her adjustment to be in touch with me and it was a wonderful experience for me as she opened my eyes to a bigger world filled with possibilities. I was a curious and indulging friend and audience and I was always thrilled to learn about her adventures. We were both in our early 20s yet I knew how vastly different our paths were. I have always found living abroad on my own a seductive thought, attending a foreign university an exhilarating possibility, and there was my friend living all that. The choice to live vicariously was a no-brainer for me. 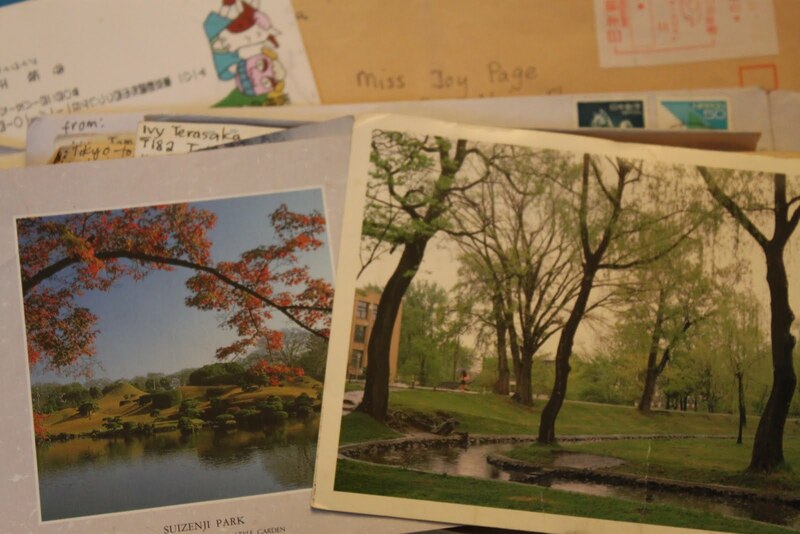 Her earlier letters were mostly about adjusting to a foreign culture (language, customs, religion, etc). 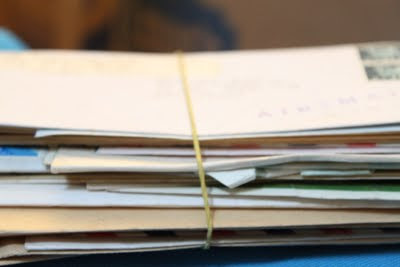 Then there were letters about adjusting to married life and it did not take long for her letters to then shift to motherhood. Eventually it became about balancing family life and career as she found work as a teacher and writer and I am certain she excelled in both. At the time, these were not my realities. 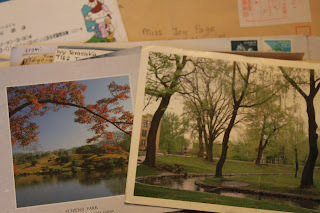 But now that I am also with family and living in a foreign country, I realize that I can find a wealth of wisdom in her letters. I read her words now and they might as well had been written by me! Her angst, her struggles with motherhood and its rewards, issues with her spouse, all seem like my own echoes, only these echoes precede my realities. In late 2004, the same year I migrated here to the U.S. and just got married, a devastating tsunami hit various countries in Southeast Asia. Ivy, with her husband and three children were vacationing in Phuket, Thailand at the time. It was around Christmas when all this happened and by the new year, I received news that she (and possibly her entire family) died when the tsunami hit. None of this made sense to me. How can this happen? She was so young, had so much promise, was just starting out, had such young children?! How can this wonderful, almost magical human being leave this earth so soon, so tragically? None of it makes sense still. I’ll never know, will never find the answers. All I am grateful for is that in the short time she lived, I knew her and was touched by her beautiful spirit. As I pack our things in this house and remove paintings and decorations on the walls, I see ‘shadows’, outlines left where dust settled all around the objects. Well, magic dust surrounded Ivy and though she is now physically gone, her presence, her mark lives on in each life she has touched along the way. That, I am certain of. In one of the science shows I watch, where the topic was the possibility of life after death, I heard someone say that life after one’s death is really all about the legacy we leave behind. The person talking compared each life to a mosaic…that our lives are like images made of tiny pieces, details put together in a beautiful way. While we are alive, those we touch around us, those special to us or to whom we are special, are able to make a ‘copy’ of that mosaic, though the pieces are much larger, less complex, less intricate, and therefore, the image is more blurry, less clear, less precise. What then results is still a copy of the original, albeit less perfect. I find comfort in this idea. And I'd like to believe that the more intimate the relationship is, the finer, the more complex the mosaic copy becomes. My objective is not to have a lot of mosaic copies when I die but to have copies that are intricate and as pronounced as they could possibly be. After all, life is indeed measured not by its length but by its beauty, by how you touched others' lives and the value you have added during your borrowed time. This is amazing. What a powerful story of treasures lost and found. Thank you so much for this. Wow! What a wonderful tribute to your friendship. I realized many years ago when I started working as a nurse, that each life I touched changed me. I also realized that I might not remember all the names or the faces of the people I cared for, but that each one of them would remember me. And it impacted my thoughts and feelings so strongly that I never ever forgot that thought. Your post resonates with me because it echoes my deepest beliefs. Thank you for posting this Joy. Your friend Ivy will live on in your thoughts and life. We really are a sum of life experiences, aren't we? What a very touching story...sometimes we don't realize the impact we have on people as we simply just live our lives. What a tragedy! A life cut short. Thanks for this powerful post, a tribute to your friendship. I am also gald that you have kept the letters. What a beautiful post Joy. Words fail me. It is a wonderful tribute to your friend. Indeed she lives on through your memories and others. I really don't know what to say Jo. I am so moved by this post. Thanks so much for this..a beautiful beautiful piece! That is a very moving story. Your writing is very thoughtful. A very happy and sad story all in one. Stopping by from VB hop. Sounds like the beginnings of a wonderful story to publish! I am so very sorry to hear about your loss. How sweet to commemorate your friendship in such a loving and touching way.